SYDNEY, Sept 10 (Reuters) – Iron ore shipments to China from Australia's Port Hedland terminal rose nearly 10 percent in August from a month earlier, port data released on Monday showed. 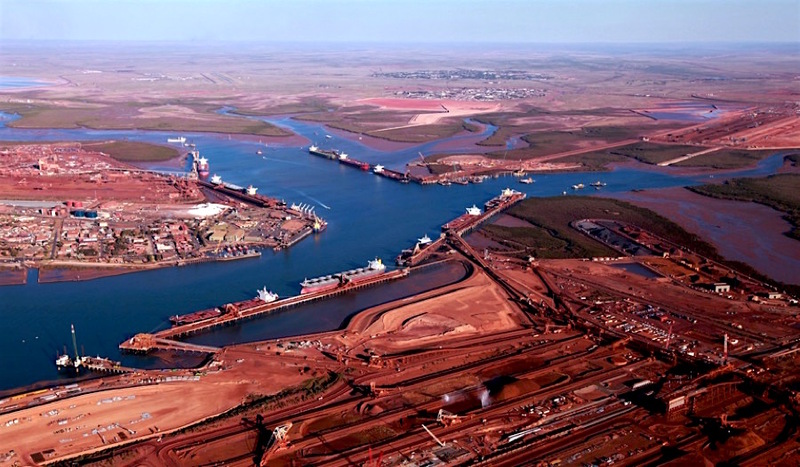 Iron ore shipments to China from the world's biggest iron ore port totalled 35.5 million tonnes in August, up from July's 32.4 million tonnes, according to the Pilbara Ports Authority. Total August iron ore shipments from the port totalled 42.4 million tonnes, higher than the 40.7 million tonnes shipped a month prior, but 1 pct lower than August 2017. Port Hedland is used by three of Australia's top four iron ore miners, BHP Billiton , Fortescue Metals Group and Gina Rinehart's Hancock Prospecting.